Arbroath's historic and architectural gems have been successfully hidden to make the rides, chip shops, supermarkets the main attraction of this dismal place. The dual carriageway severs the heart of this town and it is slowly bleeding to death. Worst Planning Decision The decision to demolish an historical building and replace it with a development out of the character with the neighbourhood. 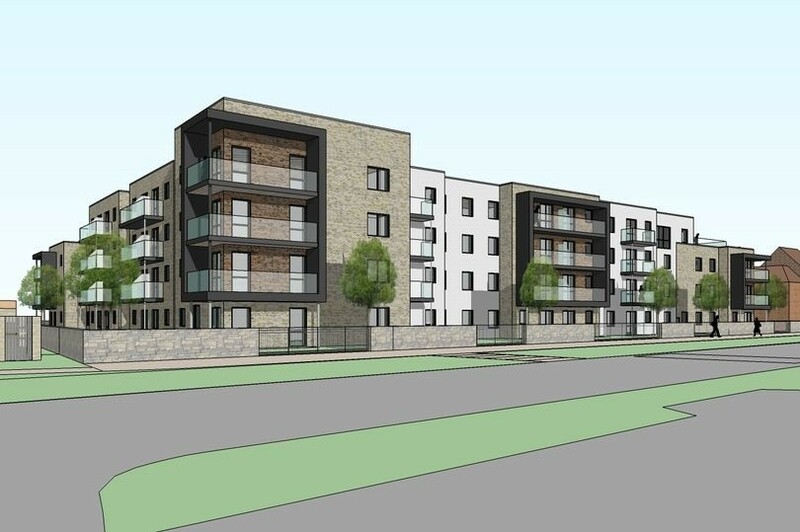 The proposed development is over-bearing, out-of-scale and out of character in terms of its appearance compared with existing development in the vicinity. Horrendous development in Aberdeen, obscuring beautiful old house of Provost Skene ( in the centre of picture one) and destroying the ambiance of our amazing granite Marischal College. Provost Skenes House and Marischal College are the most blocked an blighted buildings in the development. Out of place in area and looks like boxes with glass also an eyesore.Looks like a rubbish sixties build. The Maruschal Square Muse development is a prime example of planning folly, not to mention financial ineptitude, and fully deserving of the Pick Mark Award. The public wanted to replace the hoghly detested St Nicholas House with an open civic square that would showcase the city's two most iconic buildings, Marischal College and Provost Skene's House. Instead the Council proceeded with the Muse development which overshadows Marischal College, cutting it off from view, and engolfs Provost Skene's House. 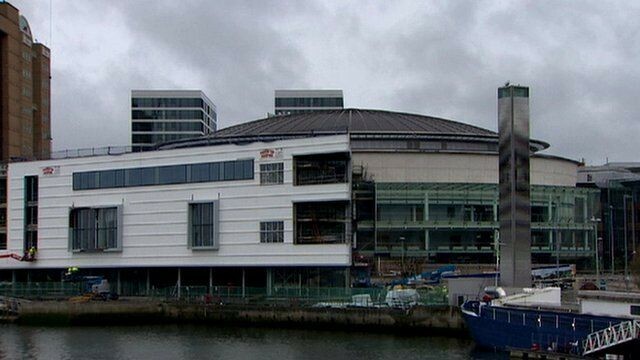 It is a glass building which does not fit in with the historic iconic buildings. Ie Marischal College and Provost Skene House. It blocks the light from the former and completely envelops the later. This building is just a glass box with no character. It obscures & dwarfs the oldest building in Aberdeen, Provost Skene’s House, and it is totally out of character with Marischal College, the largest granite structure in Europe, which now sits in its shadow. Labelling this building ugly and out of keeping with its surroundings is an understatement! Ugly modern building built across the street from beautiful old church. There is also an other old house which the building has been built around. There could have been a public square for the use of citizens and visitors for centuries to come. Instead we have a jumble of high-rise boxes which obscure Provost Skene's House and detract from Marischal College. Glass office block in a wrong cramped place opposite a heritage building, Marischal College. Also overpowering another heritage Provost Skene House. 1. Awful, soulless building shoe-horned into every inch of the planning footprint. 2. 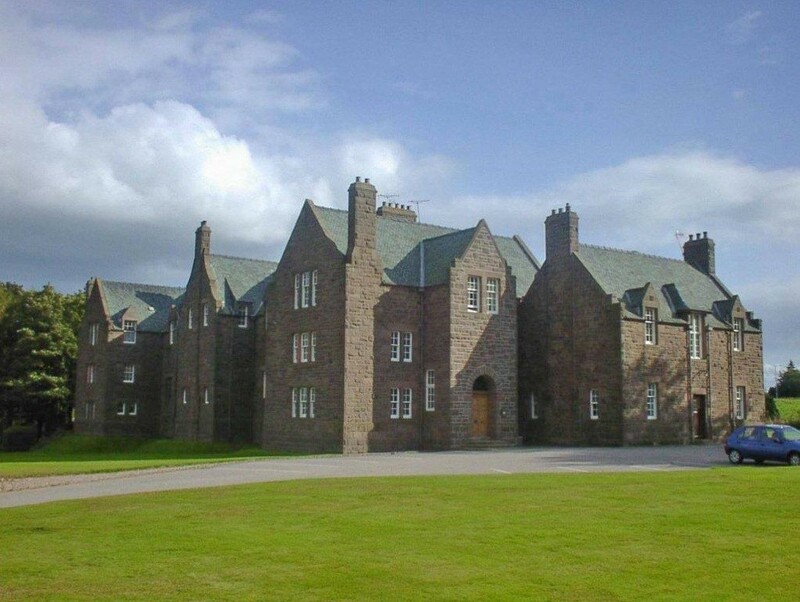 It totally envelopes and hides the beautiful Provost Skene's House - the oldest building in Aberdeen. 3. The whole thing was built right opposite Marischal College - the 2nd largest granite building in the world - obscuring any proper view of its magnificent frontage. 4. It was built on brown land, which was once an open, elegant city centre square, and which many people wanted to re-instate to add a touch of class to the city of Aberdeen. 5. The new monstrosity was given the planning go-ahead for 'prime' office and retail space - just in time for the oil slump in Aberdeen, and so most of it remains un-leased. 6. Situated between two of the most historical buildings in Aberdeen (the magnificent granite Marischal College and one of the oldest building in Aberdeen - Provost Skene's House), Marischal Square is a gigantic, bland, modernist lump that is completely out of touch with its surroundings. Provost Skene's house has been entombed behind walls of glass and concrete, with Marischal College almost constantly in the shade as the huge Marischal Square towers over it directly from the south. Hundreds of Aberdonians protested the planning decision outside the council headquarters, preferring a development that was sympathetic to the city's history, but the council ignored them and built this huge, bland monstrosity that decimates the historical centre of Aberdeen. 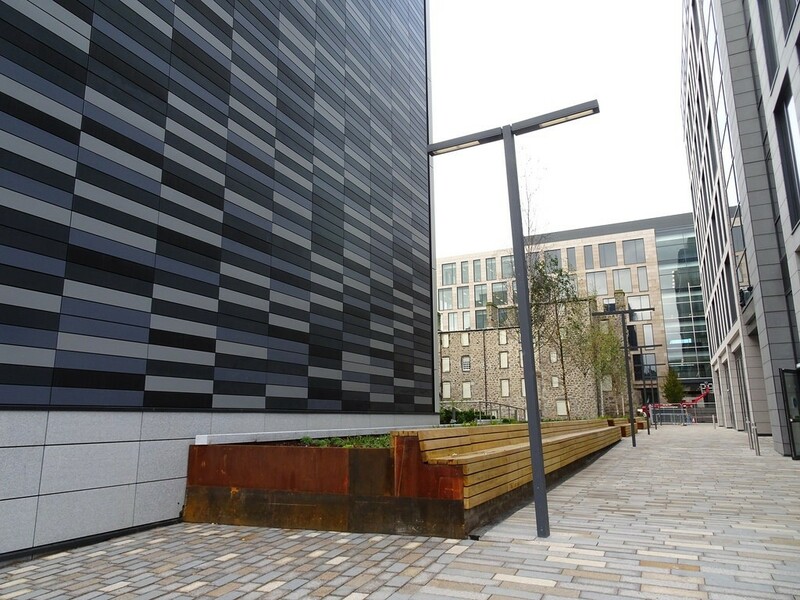 Marischal Square is a prime candidate for the Pock Mark Award as a result. The people of Aberdeen voted sgainst this eyesore in favour of an open civic space in front of our brilliant Marischal college but no, councilors thought differently. Why oh why? Gross over development of what should have been an open area with low rise buildings, a proper civic square. Ugly monstrous Carbuncles. Marischal Square is an architectural glass box of a disgrace, a massive abomination that engolfs the iconic Provost Skene’s House and destroys the view and beauty of Marischal College, the second largest granite building in Europe. The plans were passed in spite of overwhelming public opposition and the public are still bemoaning it two years on. It is in the wrong place, and a horrid blot on the landscape. Marischal Square is a disastrous and unsightly development disliked by the majority of the public whose views were ignored by the Council. It was a vanity project pursued by an arrogant Council. Too big for the site and in relation to the surrounding townscape. Even Marischal College is diminished by it. Shuts the afternoon sunshine out of Broad Street and leaves the world-famous 'west front' of Marischal College in deep shade. Makes Broad Street even more of a wind tunnel than it was before. Overwhelms and virtually submerges the C.16th Provost Skene's House. Added to which, the new buildings are largely untenanted and redundant.